The new year is a new chance to remake yourself, set new goals, and make plans for the future. What are your plans for the upcoming year? The traditional resolutions tend to involve losing weight, exercising more, or getting fit. Less popular trends include getting organized, learning new hobbies, spending less and saving more. Your dental health should be a consideration too! Brush twice daily. Surprisingly, not all adults do this! But brushing away overnight and after a full day plaque buildup is the best way to keep your mouth healthy! Floss. Not a fan of long strings of dental floss? Find a bag of pre-loaded floss picks at your local pharmacy. Make sure you pass the floss over the sides of both teeth, and rinse well afterward! Make (and keep) your dental cleaning appointments! Wondering who has time for dental checkups every six months? People with healthy teeth do! Get your teeth cleaned and examined twice a year to keep track of tooth and gum health. Limit sodas or cut them out altogether! The sugar lowers the pH of your mouth, which can weaken the enamel. It is also a prime fuel for bacteria, leading to extra buildup and discoloration on your teeth. Your overall health will thank you for this, too! Change your toothbrush. Used to brush away bacteria, plaque, and food, they also trap particles of each. Make an effort to change your toothbrush out every three months. The new bristles will be more effective, and your teeth and mouth will stay cleaner! Looking for more ways to keep your teeth healthy? Schedule your next exam with Encino Dental Studio. 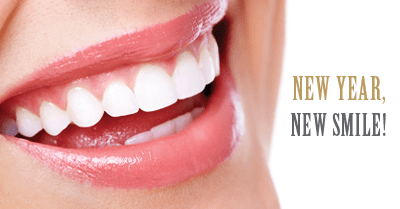 We’ll help you find the best way to get a healthier mouth and more beautiful smile!